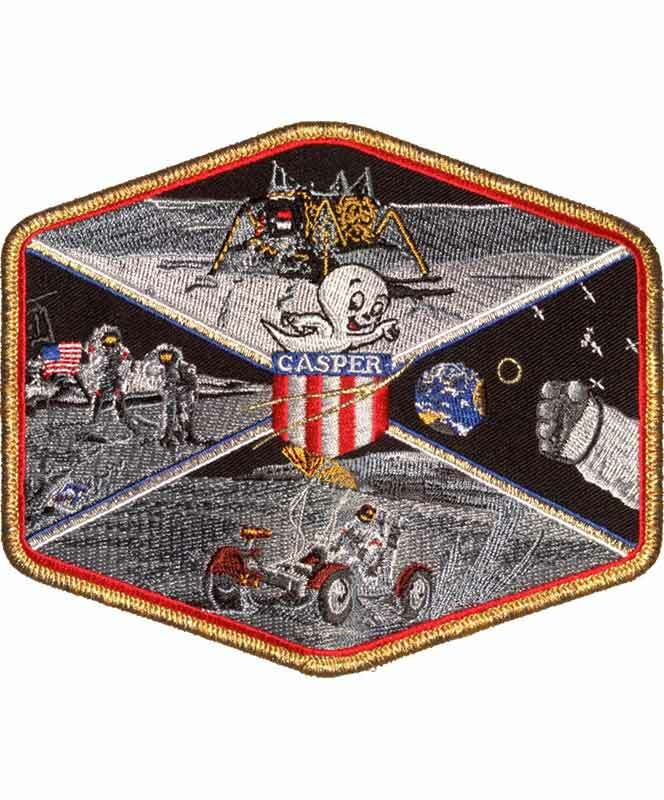 This 6" patch depicts the Apollo 16 mission, which was the fifth mission to land men on the moon and return them to Earth. It was also the second flight of the Lunar Roving Vehicle. Apollo 16 landed in a highlands area, a region not yet explored on the Moon.